When you meet a couple in love common questions to ask are “how did you meet?” or “how did you know you he/she was the ONE?” In my case you’d be asking that about my love of compound interest. Let me attempt to answer here. I was fortunate enough to have parents (primarily my Dad) who taught me about investing in an IRA when I got my first job sacking groceries at the age of 16. Ever since then I’ve had a curiosity about investing and saving that kept developing. I have had the pleasure of watching my parents work normal jobs and save enough to retire early (in their late 50’s). My wife and I are also working normal jobs and saving for retirement and our son’s education. Over time it has become more and more evident to me that all of us every day Americans can also do many of these same things and attain good financial health. Reading, Writing, Math, Science, Art, etc. are traditional subjects that most schools focus on. They are great and essential subjects, of which I’m am not debating the merit. I do believe that personal finance and investing are not merely subjects, but rather essential life skills that everyone in any socio-economic bracket, with any type of career will deal with. If they were a regular part of our high school and college curriculum can you image how all that financial literacy would translate into less consumer debt, higher savings rates, and all around financial health and peace? The fact of our society is that money is a daily component in so many facets of our lives that it bears discussing, especially if it was always viewed as taboo in your family to discuss it or if it was never mentioned through any of your formal schooling. I hope over the life of this blog that I can present relevant topics and engage in dialogue so folks can see what options and avenues there may be for them as they go down the various paths that relate to finances and investing. One of my favorite classes I took in business school was the intro class to Financial Planning. I loved it and part of me wonders what might have happened if I pursued the field right out of school as opposed to 20+ years later. Well, I guess it is better late than never. I’ve been passionate about personal finance and have dug in and continued to learn on the topic for over 20 years. 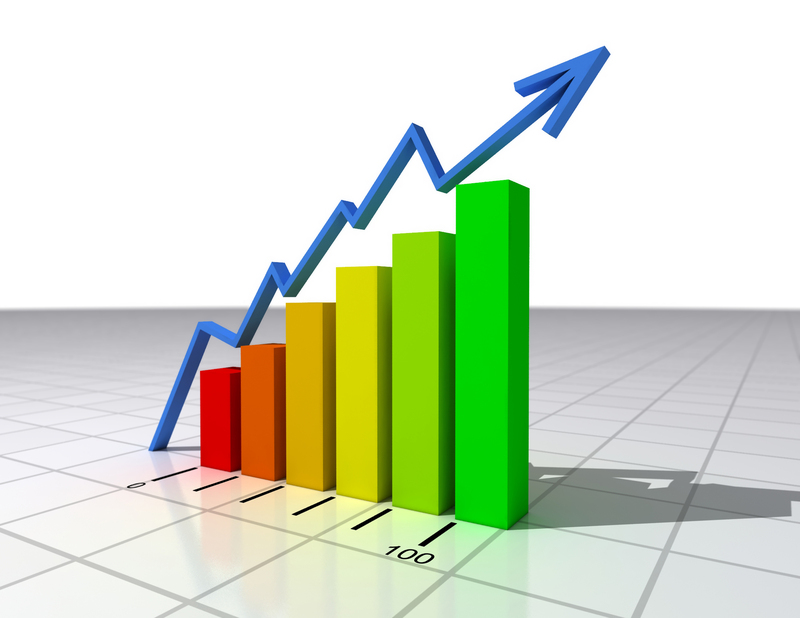 After investing and saving for all those years, the results are really coming forth and the excitement is contagious. I always enjoy talking about money and getting others passionate about taking control of their finances and saving and investing to make their money work for them instead of the other way around. I’m averse to gimmicks and this blog is not going to be devoted to “get rich” schemes or the next big thing to make money fast. In fact it will be quite contrary to that as my experience has shown that steady long-term investing is what will get most of us to our goals. Large payouts or windfalls are great, but the reality for the majority of us is that we will most likely be working jobs for many years and slowly and methodically saving to achieve our goals. It is entirely possible to do this and I want to celebrate and encourage all of us “regular” folks. I want this blog to be about sound concepts and principles and present options that people can explore to determine what is best for them. I don’t want to get into the next hot stock either. I’ll leave that to the securities analysts and pro stock pickers. Why Read MY Blog? What makes ME an expert? There are thousands of blogs on any variety of topics and even many on investing and topics that deal with personal finance. Is this blog the best in the world…maybe not, but I’m going to give it the best that I know how to do. I will give it my own personal spin and let all of you out across the vast internet be the judge. I do feel that anyone doing a blog should have information to share on their topic of choice and be passionate about the topic. I don’t want to do this blog to puff up my ego or try to convince others how awesome I may think I am. I’m doing it because I feel that personal finance, saving, and investing are topics that everyone deals with, but they are topics that are largely neglected by learning institutions in the US and ones that I find are not often passed down from parents to their children. I don’t claim to have all the answers when it comes to money, finance, or investing but I have had some successes and failures that I believe are useful to share. Fortunately the successes have been more than the failures and as such, through regularly saving and investing our money, we’ve been able to amass a sizable sum that will allow me to retire quite early – maybe in my mid/late 40’s. I say “retire” but I don’t see my wife or me really fully retiring and laying in a beach chair all day. I would more likely call it a reduction in daily obligations or an increase in daily freedoms. To translate further: we’ll be able to stop working full-time jobs and work part-time on pursuits that we are passionate about without having to worry too much about our financial future. Most importantly we will have freedom over our time. To me, that equals real financial freedom. Pulling form the lessons I’ve learned, I wanted to share this with others (especially younger people or those early in their careers) to help get to the same point in life where you get back more of your time for yourself and your pursuits instead of working full-time for another company until you die. I think that’s a pretty noble cause and I hope you join me on the journey. 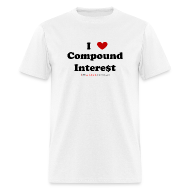 The journey to falling in love with compound interest.